Obituary for John W. "Butch" Fritz | Knight-Confer Funeral Home, Inc.
John W. “Butch” Fritz, 78, of Williamsport went to be with his Heavenly Father on Saturday January 26, 2019. Born September 11, 1940, in Williamsport he was a son of the late Herbert A. and Grace (Landon) Fritz. He grew up near Memorial park in an area he referred to as “the old neighborhood.” He played baseball at Original Little League and participated in the 1948 Little League World Series. Butch was a 1959 graduate of Williamsport High School. On August 15, 1963 he married Phyllis J. Bower. A self-made business man, in 1963 he began self-employment when he purchased a gas station in Newberry that became known as Fritz Gulf. In 1970 when the Fourth Street off ramp replaced his gas station, he moved across Lycoming Creek and purchased the Park Pizza Shop, where he quickly met his goal of making 100 pizzas in an evening. During the Pizza Shop years he invested in a laundromat in Newberry, which he considered his only ever “business blunder”. 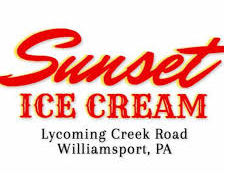 In 1977 he recognized a need for an old fashioned ice cream parlor in Williamsport and purchased land along Lycoming Creek Road, opposite the land where Sunset Park formerly stood. He opened Sunset Ice Cream in October of 1977. He had a manufacturing facility with an ice cream parlor complete with a player piano. There he served 50 flavors. He insisted on giving his customers a generous portion at an affordable price. He was proud that his half gallon remained a full 64 oz. His greatest joy came from selling ice cream at local festivals, carnivals and fairs. For more than 30 years he also enjoyed selling Thompson’s foot long hotdogs and cans of soda for 35 cents at area fairs. While at the fairs John met many people, who became life-long friends and he was a generous supporter of area 4-H clubs throughout the years. Throughout the 1980’s and into the early 90’s he operated Sunset Miniature Golf Course near his ice cream parlor where patrons could play a round of miniature golf for a dollar. He served as a former Old Lycoming Twp. Supervisor for many years. Surviving in addition to his wife Phyllis, of 55 years are two daughters, Kimberly Poorman (Ronald) of Linden and Tammy Taylor (Mark) of Williamsport, four grandchildren, Eric Miller and Hunter, Jared and Laura Poorman, a brother William E. (Laverta) Fritz of Duboistown and several nieces and nephews. In addition to his parents, he was preceded in death by a sister Beverly, three brothers Robert L., Donald L. and Herbert “Lanny” Fritz, and a nephew Steve Fritz. A Visitation to honor John’s life will be held from 4-8 p.m. Friday, February 1, 2019 at Knight-Confer Funeral Home, 1914 Memorial Ave. Williamsport, where his favorite memories will be served up. In keeping with his wishes services and burial will be private at State Road Cemetery, Cogan Station. In lieu of flowers memorial contributions may be made in John’s name to Original League Inc. PO Box 4162 Williamsport, PA 17701.